Will My Old Furnace Work With The New Côr Thermostat? A lesson we all learn in life is how important it is to work together. We learn from those who are different than us, and grow into better versions of ourselves just by working as part of a team. Life is easier when we work together. So what does a thermostat have to do with being a part of a team? Meet your HVAC system’s newest teammate – the Côr thermostat. And boy, is she smart and easy to work with! 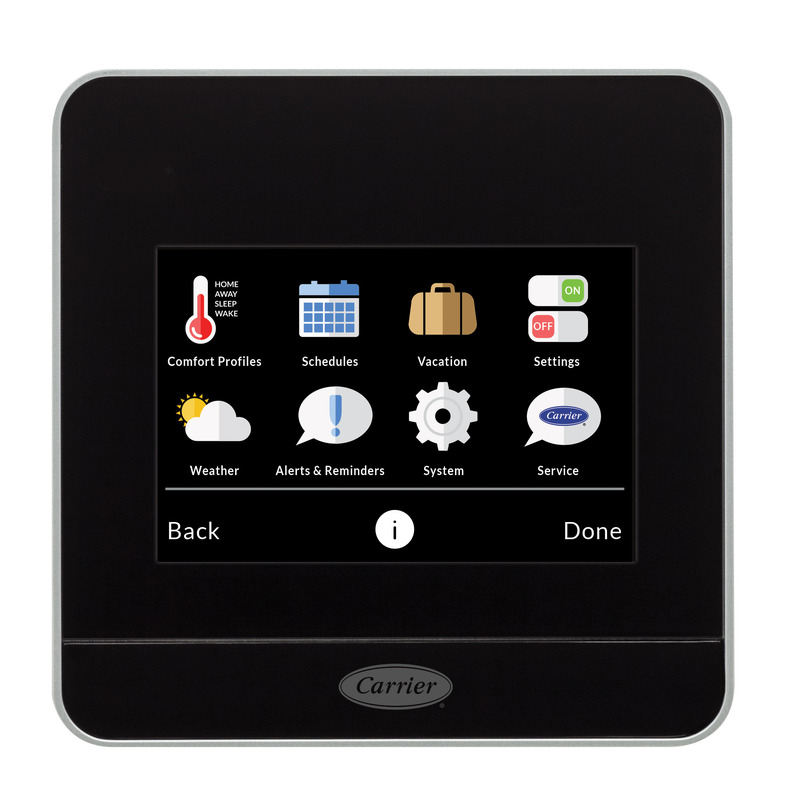 You may have already read about Carrier’s new Côr thermostat and its ability to control your home’s comfort with simple ease and efficiency from anywhere in the world. If not, your smarter home solution is here. What we want to tell you more about is not only how easy the Cor thermostat is to use, but how easy going it is when it comes to compatibility with other HVAC systems. Carrier says they designed this versatile little thermostat to be readily compatible with a number of HVAC system types and brands. Even if your home’s HVAC system isn’t made by Carrier, it can still alert you when it’s time to call for routine maintenance. It’s flexible enough to work with any conventional furnace. Even two-stage heat and two-stage cooling systems will work great with the new Wi-Fi capable thermostat. It’s flexibility means older furnace models just got an IQ boost when connected to a Cor Thermostat. Who wouldn’t want this little genius of a product on their home’s team? For more information about the Cor Thermostat or other products from Carrier, find your local heating specialists at Stay Comfy, Minnesota.